Police in Brussels are trying to identify a man who let a 10-year-old boy sit on his lap and steer his car through the streets of Uccle. A YouTube video of the incident was brought to the attention of police by a viewer. The man up front eventually picks up his own phone, leaving the man in the back to give directions to the child. No one in the driver’s seat is wearing a seatbelt. The video showed up on YouTube on Tuesday, though when it was shot is unclear. The police are ready with charges when they do identify the man. 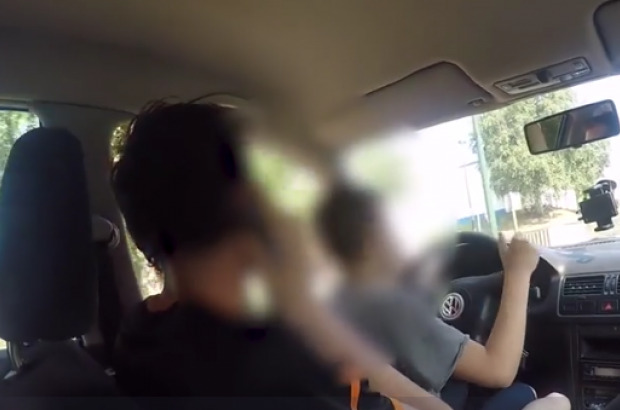 They include both traffic violations and putting a minor in danger, which could run up to €2,000 in fines and a suspension of his driving licence for three months. “We also want to know what the domestic situation is with the boy,” a spokesperson from the Brussels prosecutor’s office said. He also said that they have a line on the identity of the man but are not sure if the boy on his lap is his son.